Joint Guard for Dogs and Joint Guard for Cats are a treatment for animals suffering with the symptoms of arthritis and associated joint problems. Long term treatment with Joint Guard may help reduce non-infectious joint inflammation such as that caused by arthritis, hip dyspasia, OCD, injury or over-activity. It can also be used as a preventative in breeds that are susceptible to joint problems (such as Retrievers, German Shepherds and Rottweilers) or pets with high activity levels or working dogs. 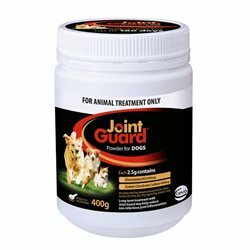 Joint Guard contains a unique and clinically proven combination of Glucosamine hydrochloride and Chondroitin sulfate along with Methyl Sulfonyl Methane (MSM), Manganese and all the important co-factors that help keep your pet's joints as healthy as possible. Joint Guard for Dogs is available in a 200g, 400g and 750g tub of powder. 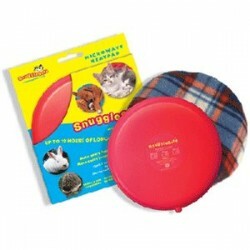 Joint Guard for Cats is available in a 100g tub of powder. 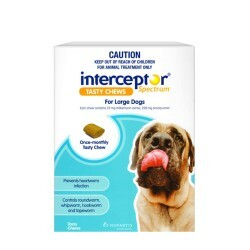 Medicated Joint Guard Liver Chews are available in a resealable sachet of 120 chews. Smaller dosage required than other brands so more economical.